This Saturday (August 14) The Championship Wrestling Alliance returns home to Kingsport, TN for the 1st time in almost 2 months at the Civic Auditorium (1550 Fort Henry Dr.). Bell Time is 8:00 PM… This event is entitled “The Clash”, and will feature one of the most brutal main events in CWA history as the CWA World Heavyweight Champion, Chris Richards defends his title against Tony “The Dragon” Givens in a Steel Chair Coffin Match. The Steel Chair Coffin is 6 steel chairs bound together and in order to win the match, one man must drive his opponent through the Steel Chair Coffin! This Saturday night the collective eyes and ears of the Midwest wrestling scene will be focused on Berwyn IL as some of the biggest stories of the year play out at AAW’s “Reign of Violence”. A controversial figure returns, and one of AAW’s cornerstones begins his farewell tour. 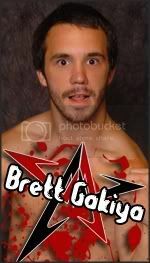 All of this leading up to the AAW / Dragon Gate USA weekend in September. This is a can’t miss card. Let’s take a closer look. The history between these two men is well documented. 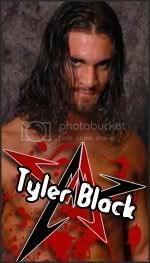 This match became even more interesting in the last few days with news Tyler Black has signed a deal with WWE. 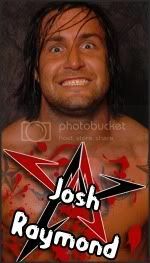 As of now Black’s final independent appearance in the country will be AAW’s “Defining Moment” on 9/24. Bottom line here is Tyler Black wants to leave the company he helped build with the belt and Silas Young wants to make sure Black never makes it to WWE. We have now been told that AAW officials have decided if Black wins the title and holds it when his AAW run is over that there will be a tournament to crown a new champion. Silas Young has other plans as he will try to hold on to the belt by any means necessary. Expect an electric atmosphere Saturday night when Tyler Black and Silas Young face off for the final time! The hype is almost over. 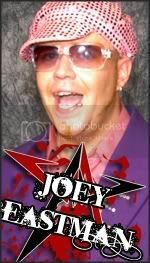 In just days Joey Eastman will stand in the middle of an AAW ring with the microphone for the first time in eighteen months. In that time the landscape of AAW has changed considerably. Where does Eastman now fit in? 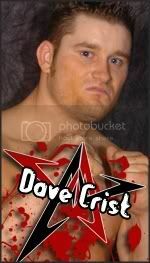 How will the AAW fans react to his return? Who has he aligned himself with and what is this unfinished business he keeps alluding to? We will all find out this Saturday night. Several years back Josh Raymond (then known as Josh Abercrombie) was making waves on the independent scene for his innovative and creative aerial offense, a position that young Brett Gakiya now finds himself in as he and his partner CJ Esparza have been turning heads with their breath taking, high flying style. Since Raymond joined Truth Martini’s “House of Truth” he has added a ruthless and aggressive side to his arsenal and this match furthers the House of Truth vs Zero Gravity feud. Both men have been working in tag team action for the past couple of years and now go one on one in what promises to be an action packed match up. 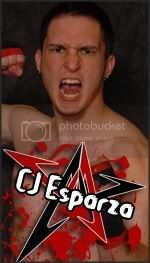 Ever since debuting in AAW with Zero Gravity, CJ Esparza has been known to show tremendous heart and determination in his matches. 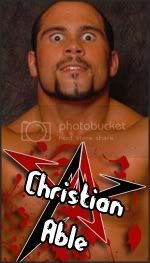 He will need every ounce of it when he takes on the other half of the “House of Truth”, Christian Able. Able has gone from relative obscurity to one of the most menacing figures in AAW thanks to the teachings of Truth Martini. It will be Able’s brute strength against Esparza’s speed and agility in this one. After emerging triumphant in their issue with the Northstar Express the unlikely duo of Krotch and MsChif (lovingly named by some fans as “Krotchif”) now look for another challenge as they team with the red hot luchador Samuray Del Sol to take on the devious Chan Clan. 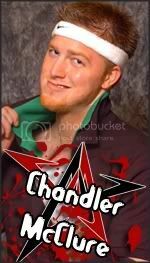 Chandler McClure secured his new AAW contract last month when he and Knight Wagner defeated Colt Cabana and Derek St. Holmes (an issue that seems to be far from over). Jordan Mcentyre has dropped two straight to Del Sol and is looking for some payback in this intergender six person tag match. AWF is getting excited as the countdown approaches to the debut of “This Is AWF Wrestling”… It’s just 1 week away!! The premier on 17 August at 7pm on Aurora Community Channel 183 will feature three bouts to set the scene to those new to AWF action, and give details on upcoming shows and promotion. So be sure to tell all your friends and join us for half an hour of AWF Wrestling each week on Aurora Community Channel. Full show Press Release below. “THIS IS AWF WRESTLING” TELEVISION SHOW SET TO AIR TUESDAY’S AT 7:00 PM, WITH REPLAY SATURDAY AT 9:30 AM, ON AURORA COMMUNITY CHANNEL, CHANNEL 183 ON THE FOXTEL / AUSTAR PAY TV NETWORK FROM 17 AUGUST, 2010. Australasian Wrestling Federation (AWF) is excited to bring Australian fans the chance to view its brand of professional wrestling as a weekly half hour broadcast starting Tuesday 17 August on Aurora Community Channel. Presenting professional wrestling utilizing a mix of the premier local and international talents, AWF has operated live events in Australia since 1999, and looks forward to broadening its fan base and introducing more supporters to the AWF product via the “This Is AWF Wrestling” television show. Wrestling has been popular in Australia for many years, with US companies being who most current Australian fans associate with when they think of professional wrestling. With the national platform the new “This Is AWF Wrestling” television show offers, AWF is looking to solidify itself in Australian culture as the name wrestling fans associate with local wrestling, and provide a TV product fans can be proud to say they watch and support. AWF urges all to tune in to our show and see that we have some fantastic home grown talent and a live show right in our own country that is world class and demands local fans attention. AWF aims to be “Your Local Fed” and will cater directly to its Australian fans with segments on the weekly show featuring upcoming live events and happenings, competitions, and quality wrestling bouts featuring Australian and International stars. Fans will also be able to see these AWF talents perform regularly at live events in cities around Australia. The AWF TV program will give many Australasian based wrestlers their first national television exposure, showcasing these hot talents to a wider fan base than ever before. Viewers will be able to follow AWF Wrestlers battling for the four Championship Titles that all competitors are striving to win. They are the open divisions of the Australasian Championship, the Commonwealth Championship, and the Tag Team Championships, along with the under 25 year’s Young Lion’s Championship. The first episodes of “This Is AWF Wrestling” will introduce you to our current Champions and will let audiences get a feel for the competition. Over the weeks of season one, viewers will become familiar with the talents of fan favourites such as Powerhouse Theo, Iron Jay Coles, TNT, Mark Hilton and Blakestone, plus will see the underhanded tactics of Massive Q, Il Cognito and KrackerJak. Rising “Young Lion’s” such as “Mint Condition” Mick Moretti and Tama Williams will also be given the opportunity to shine, as will the women of the AWF such as Mighty Mel and Bombshell Bo, plus in addition we will see the feuds of factions such as “The Detonation Crew” and “The Freakshow” intensify. Aurora Community Channel will bring the Australasian Wrestling Federation’s “This Is AWF Wrestling” program to potentially almost 6 million viewers, with the show being available to all digital TV subscribers on the basic tier in Australia. So Australia, “Get Ready, Things Are About To Get Heavy”, “This Is AWF Wrestling” is coming! Australasian Wrestling Federation will unleash it’s two leading factions “The Detonation Crew” and “The Freakshow” onto the football field for a wrestling spectacular for fans of the Penrith home game to enjoy. The bout will feature 3 members of each faction, no holds barred, anything goes across the field, with the winner determined by pinning the designated team captain. This AWF first will be an exciting taste to wet Penrith fans appetite for destruction to the following weeks PsychoticSlam event. The Australasian Wrestling Federation (AWF) returns to the Central Coast to present wrestling at The Entrance Leagues Club for the first time in an evening of fun filled up close and personal live pro-wrestling action. The “PsychoticSlam” lineup will feature the rising wrestlers of the AWF showcasing their talents in 7 entertaining pro-wrestling bouts, in an event suitable for all ages. The show itself will be bustling with energy, with an huge card planned that will feature a variety of different personalities and wrestling styles, with many wrestlers looking to establish wins and make new fans in The Entrance debut event. The main event for the evening will be an exciting encounter pitting two of the most popular wrestlers on the AWF roster against each other for the first time, as 6 time Australasian Champion TNT takes on current Young Lion’s Champion “Mint Condition” Mick Moretti. Whilst the Young Lion’s Title will not be up for grabs, the focus will no doubt be on winning and who is the better wrestler on the day. Both men are at the top of their games currently, so this will be a battle of human chess, which promises to be something special. 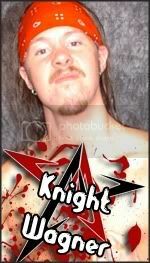 TNT has 15 years ring experience, has faced the best in independent wrestlers in the world and is the favourite. The less experienced Moretti is somewhat of an underdog, however has momentum on his side as he has not been beaten since October, 2009. 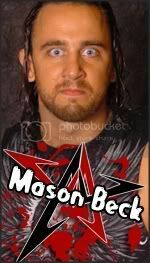 This match should represent the athletic action that the AWF is built on, with the fans the winners. Elsewhere on the event the Australasian Champion, the 170kg Massive Q will take on the challenge of “The Samoan Warrior” in an interesting Title bout. The Samoan usually relies on his size & strength to overpower opponents, however on this occasion Q is the larger and stronger man. What will happen? Be at The Entrance Leagues on 21 August to find out! In Commonwealth Championship action Powerhouse Theo will take on the challenge of “The Freakshow’s” Mr Mortis in a collision of two of the most intense men in the AWF. In other exciting action we will see Tag Team action with AWF Tag Champions Frankie Fettucini & Traffic, together known as the “Cornershop Connection” taking on “The Meat Massacre” of Shane Saw & Sir Loin. There will be mixed tag team action as “Greatness” Grant Linstrom & Baby Devine battle Iron Jay Coles & Mighty Mel, DJ Fusion will battle Omega, plus a tag team partners challenge with Spaceboy Dacey taking on “The Scientist” Robbie Barnes. A massive card with 7 huge bouts in all! Event promises to be a fun filled night suitable for wrestling fans of all ages. AWF promoters are keen to bring AWF to The Entrance on a regular basis, so be sure to support this event if you are one of the many that has called for regular quality wrestling in the area, and AWF will respond accordingly. Tickets: Available by booking at AWF Website at www.awfwrestling.com.au in “Tickets” section or at the Door on the night of event. Be on hand as PsychoticSlam Minto delivers a massive card featuring 7 huge bouts. See the rising stars of the AWF battle it out up close and in your face at the AWF Dojo! Sausage Sizzle will be available along with drinks and AWF Merchandise. Event promises to be an up close fun filled evening suitable for wrestling fans of all ages. A great afternoon of fun for the whole family! AT THIS IS AWF WRESTLING TV TAPING! It’s the Australasian Wrestling Federation’s biggest annual wrestling event, this year celebrating its 11th year anniversary, it’s PsychoticSlam! The massive Penrith Panthers celebration will be a “This Is AWF Wrestling” TV Taping for Foxtel, and will showcase 7 huge bouts featuring all AWF Championships defended, plus TNT’s 15 year anniversary bout as a wrestler, taking on former TNA star Sonjay Dutt (USA / India). This will be a night of pro-wrestling action and celebration you will not want to miss! The main event of the evening will see local Shalvey resident, TNT celebrate his 15th year as an active professional wrestler. 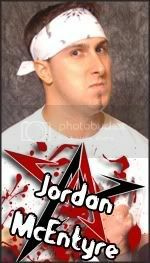 TNT has been one of the most popular and skilled wrestlers in Australian for many years, having held the Australasian Championship an unmatched 6 times, and having represented Australia wrestling in countries such as Japan, USA, Mexico. He is the current host of AWF’s new television show on Aurora Community Channel called “This Is AWF Wrestling” and says he is more excited for his Panthers bout than any other in his long career so far. 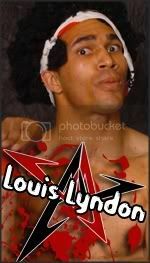 His opponent from the USA, is a former TNA X-Division standout and one of the best independent pound for pound wrestlers in the world – Sonjay Dutt. This bout promises to be fast paced and filled with emotion and excitement no doubt. Other main event action will see Wayne “The Maniac” Mattei from South Australia, challenge for the Australasian Championship against Massive Q. This bout will feature the two most monstrous wrestlers Australia has ever seen, and will be a true super heavyweight battle with Q tipping the scales at 170 kg, and “The Maniac” weighing in at 130kg. 300 kilos of force will be in action with the championship at stake. It is primed to be a spectacle. In addition to the mega double main event, all other matches scheduled are main event quality, so be sure to bring the family and catch all of the up close action and emotion that is the celebration of AWF PsychoticSlam Penrith. 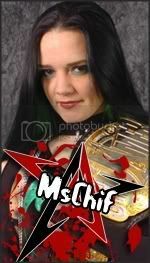 – Women’s Tag Team bout: Selene & Baby Devine Vs Mighty Mel & ? Tickets on Sale at Panthers Main Reception Bookings Ph: 1800 061 991 or at the door if not sold out! Show info: The AWF will deliver over 2 hours of action packed sports entertainment suitable for all ages in a huge card that will showcase a variety of different matches, fighting styles and characters. AWF returns to Newcastle for the first time in 2010 for its annual biggest event of the year PsychoticSlam Live Pro-Wrestling. The event itself will feature the rising stars of the AWF in a variety of different bouts as part of a 8 bout, 2 ½ hour plus supercard. The main event for the Diggers @ Newcastle City event will be an intriguing Australasian Championship Bout, as current Champion, the 170 kg Massive Q faces the challenge of former TNA Wrestling X Division stand out, from USA via India, “The Playa from The Himalaya’s” Sonjay Dutt. Massive Q became Australasian Champion on 15 January by winning a 6 month tournament defeating “Iron Jay” Coles in the final. Sonjay Dutt comes to the AWF looking to do what he has done in countries such as USA, Canada and Japan, which is dazzle audiences with his cutting edge wrestling style, and walk away victorious as one of the world’s top independent wrestler. This bout will be for the region’s greatest wrestling prize, the AWF Australasian Championship, and this battle of size & power versus agility & speed will be one not to miss. In a “Madmen’s Mash Up” bout, the demented Mr Mortis of “The Freakshow” will battle the super muscular South Australian Wayne “The Maniac” Mattei, in what promises to be a hard hitting wild battle. If that’s not enough action there will also be a huge 6 Man Tag Team Bout with AWF Tag Team Champions The Cornershop Connection, being joined by TNT taking on The Meat Massacre & Omega. In addition Iron Jay Coles will face New Zealand’s Tama Williams, women’s action will pit Bombshell Bo against Mighty Mel, Spaceboy Dacey will battle the Samoan Warrior and there will be a huge Young Lion’s Elimination Bout. 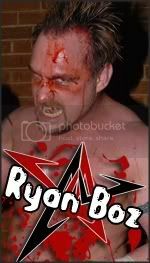 So get ready wrestling fans, things are going to get really heavy, as AWF gets set PsychoticSlam 2010. Be there live and support AWF as we return to Newcastle for a huge night of action. Bring the family, tell a friend, don’t miss it!!! AWF returns to the Illawarra for the first time in 2010 for its annual biggest event of the year PsychoticSlam Live Pro-Wrestling. Last year Fairy Meadow fans saw TNT defeat Al Snow at PsychoticSlam, and then it was onto October’s “Break Out” Spring Tour where local hero Iron Jay Coles defeated former WWE Superstar “Kizarny” Sinn Bodhi. AWF is excited to be returning to Fairy Meadow as part of this year’s PsychoticSlam tour, and urges local wrestling fans to attend as we will be looking to top last year’s shows as AWF hosts another world class card of first rate family entertainment. The event itself will feature the rising stars of the AWF in a variety of different bouts as part of an 8 bout, 2 hour plus afternoon event. The main event for the Fairy Meadow stop will be one not to be missed, as local Wollongong AWF personality, “Iron Jay” Coles, will face one of the biggest challenge of his career, as he goes up against direct from the USA, former TNA Wrestling X Division stand out, Sonjay Dutt. “Iron Jay” Coles has been on a roll since joining the “Detonation Crew” in January tearing up the competition as he continues to improve his wrestling skills and physical attributes to the level of being one of the most well rounded wrestlers on the scene today. 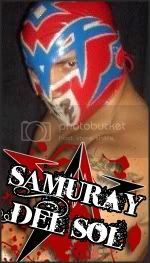 Sonjay Dutt comes to the AWF looking to do what he has in countries such as USA, Canada and Japan, which is dazzle audiences with his cutting edge wrestling style, and walk away victorious as one of the world’s top independent wrestler. This is a bout where we urge the Wollongong people to get behind their local wrestler to see whether Iron Jay has what it takes to defeat one of the premiere high flying wrestlers in the business today, and again get one step closer to becoming AWF Australasian Champion. Current Australasian Champion Massive Q will be in for a huge fight also at PsychoticSlam, as he is scheduled to defend his championship against top contender and former Australasian Champion Mark Hilton. This will be a classic encounter of size versus speed, with the winner taking all. As part of this huge event the Commonwealth Championship will also be on the line in what will be a high impact battle pitting two of the hardest hitters in the AWF against each other. It will see current champion Powerhouse Theo take on the force of The Samoan Warrior in a bout that could very well shake the foundations of the Frat. If that’s not enough action there will also be an AWF Tag Team Title defence with The Cornershop Connection taking on Spaceboy Dacey & The Illusionist, TNT will battle “Scientific” Robert Barnes, Mixed tag team action will see Mick Moretti & Mighty Mel face Omega & Selene, Young Lion’s action will see DJ Fusion, Emo Kid Rain, Anubis, Shane Saw & Tama Williams fight it out, plus the lethal poison of Toxin will face “The Mad Butcher” Sir Loin rounding out the card. 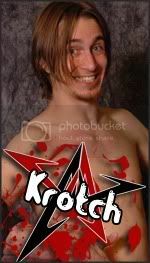 So get ready wrestling fans, things are going to get really heavy, as AWF gets set PsychoticSlam 2010. Be there live and support AWF as we return to Fairy Meadow for a huge night of action. Bring the family, tell a friend, don’t miss it!!! AWF School of Pro-Wrestling at Minto, NSW will be holding a Pro-Wrestling Training Seminar hosted by former TNA stand out Sonjay Dutt, and AWF School of Pro-Wrestling Head Trainer TNT. 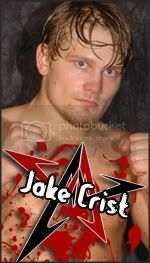 The Seminar will be open to all ages and will have a particular emphasis on Cruiserweight / X Division Style wrestling. For those interested email info@awfwrestling.com.au to reserve your spot and you can make payment at the same email via Paypal. – Applications for our next learn to wrestle beginners Winter course starting June 5 are still being accepted. Classes start this Sat so hurry if you want to be part of this semester! Call 0410 691 377 to advise your interest in joining. – AWF’s next School Holiday “Dreamcamp” open to all ages will be 27-30 September hosted by TNT. 4 consecutive Days of wrestling tuition 10am – 3pm culminating in a taped bout. Fun for all ages. $300 . For those interested email info@awfwrestling.com.au to reserve your spot. All correspondence to the AWF School of Pro-Wrestling can be made by emailing info@awfwrestling.com.au or calling 0410 691 377. This Is AWF Wrestling TV Show Debuts! More dates to be announced! To keep up to date visit the AWF Website! Thank you for your support of AWF Wrestling!